Intense Pulse Light (IPL) is an effective and safe skin treatment used to reduce redness and flushing over the face, neck and hands, as well as improving brown spots on sun damaged skin. While this device uses light to remove blood vessels and dark spots caused by chronic sun exposure as well as decrease pore size and rejuvenate the skin, it is not a laser. It may reduce fine wrinkles, but is not a treatment for deep wrinkles. Treatments are usually spaced apart every 4 weeks. Have sun exposure planned after or between treatments i.e., cruise, vacation, etc. Not all blood vessels will disappear after one treatment. This is because all of the little blood vessels are under pressure to reopen after they have been closed with our treatment. The patient must understand that it may take several procedures for adequate satisfaction. The average person will need four to six treatments. Some pigmented spots may be quite resistant to any one treatment or they may recur. We will usually use lightening agents for patients who are prone to excess pigmentation. Redness, Swelling and Bruising. Immediately after treatment, the area treated may have a degree of swelling and redness because of irritation of the damaged blood vessel wall. This redness may last a day or two and is usually easily covered with makeup. While temporary, treatment may result in some degree of dry, dark crusting or a small rough scab. We suggest these be treated with an antibiotic ointment such as Polysporin or triple antibiotic and be covered with a small Band-Aid. The scab will fall off within a few days. In the susceptible patient, irritation to the skin may induce a degree of excessive pigmentation, especially in darker-skinned patients or those prone to abnormal brown spots. We may prescribe the use of topical lightening agents to prevent or treat this problem, which is not permanent. The fact that we are removing unwanted vessels may not decrease the tendency for some patients to develop new vessels. Those who develop unwanted facial vessels in the first place may, over time, develop some new ones. These, in turn, can be treated and improved when they occur. You should avoid the sun for at least one week before treatment. You should not have a tan or sunburn – we will not be able to treat you. You should avoid perfume or cologne on the area to be treated for at least three days. The treatment is performed with you lying on an exam table, as this is the most comfortable position. We will have you wear protective eyewear. We also ask that you close your eyes during the treatment. We will place a cool gel on the area to be treated. When the treatment is performed, you will perceive a light and a slight burning but tolerable sensation. Following treatment which takes approximately 10-20 minutes, we will give you a towel to wipe off your face. 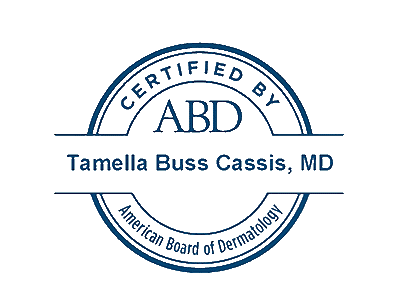 The staff at Cassis Dermatology and Aesthetics Center can perform intense pulse light treatment (IPL).